From the family garage of our founder, Bruce McIntyre, to a global adventure identity, our journey has been one of creation and innovation. 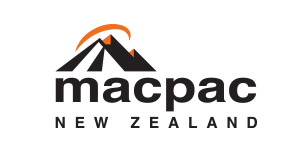 Macpac products are designed, tested and proven in the ultimate outdoor test lab - New Zealand. Bruce had a desire to engineer the highest quality equipment that would get you anywhere and back again. – Bruce McIntyre, Macpac Founder. That founding philosophy has evolved into a collection of apparel and equipment for any climate or scenario. 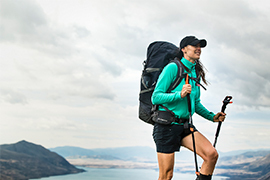 Our product lines cater to mountain climbers, campers, hikers (or trampers, as we call them in New Zealand) and more broadly, anyone who loves adventure and travel. But in terms of what people use our products for, that’s just the tip of the iceberg. 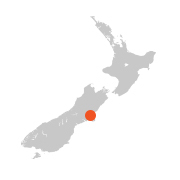 Our team is proudly based in Christchurch, in New Zealand’s South Island, and we’ve been in this neck of the woods since the very beginning. Our head office is where the concept for every Macpac product is born, before our highly skilled manufacturing partners bring the design team’s visions to life. We are fierce in our belief that life is better when you’re outside. Our products are vehicles for adventure. By engineering gear that is specified, technical and robust, we’re equipping you with the necessary tools to embrace the great outdoors. 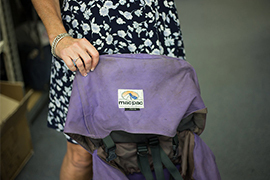 It was 1973 when Bruce McIntyre started making backpacks from his parent’s garage in Christchurch. With a $2000 loan under his belt, Bruce set a goal - to create products of the highest quality that would last for a long time, and could comfortably handle New Zealand’s rugged and unforgiving terrain. By 1975, Bruce had broken new ground in Asia and Oceania. The Torre Egger was the first internal frame pack made in the region, and was designed for the Canterbury Mountaineering Club’s Patagonian Expedition. Business grew rapidly – sales growth was at 100% every year, and by the end of the decade the first export market was established across the Tasman in Australia. The last decade of the millennium saw continued growth at home in New Zealand, and in our export markets. We found a new home, moving our head offices to a larger facility in Christchurch to accommodate more staff. By the end of the 90’s we had over 230 different products in our range. Sustainability has always been at the heart of our operation, and was in fact one our founding philosophies. The 90’s saw us take on a more structured and accountable approach to protecting the environment. We joined EBEX21 – an NZ based project set up to help organisations reduce their carbon footprint. 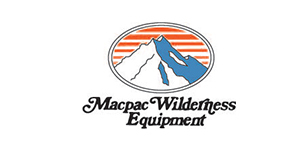 A merger between Macpac and another company from New Zealand, Wilderness Equipment, saw the creation of Macpac Wilderness Equipment. 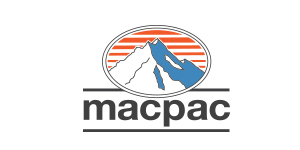 Until this point, Macpac had only designed outdoor equipment, and Wilderness Equipment specialised in apparel. The merger allowed our brand to expand the product range, and access a deeper pool of knowledge to reach a new level of innovation and quality. The export side of the business continued to grow throughout the 80’s, and by 1984, 5% of the total sales figure was attributed to overseas sales. We were on our way to becoming a global brand, and by the end of the decade, Macpac products were sold in the UK, Germany and Switzerland as well as the existing southern hemisphere markets. Our toughest decade yet. The global markets suffered, and so did we. We downsized our team, reassessed our goals and strategies, opened our first Macpac retail store, and set ourselves up to bounce back to be better than we’d been before. And bounce back we did. Now, we employ over 600 staff, and Macpac products are sold all over the globe. A lot has changed in the last 45 years, but some things remain the same. We believe in quality. We believe in sustainability. We believe in the outdoors and its ability to make anyone’s life better – whatever your adventure. Our design philosophy is simple: sustainability starts with products that last. Every material we use in the design process is chosen with quality and longevity in mind. By refusing to cut corners, we engineer gear that will perform at the highest level for a long time. Our products have evolved in a very specific way over the years. 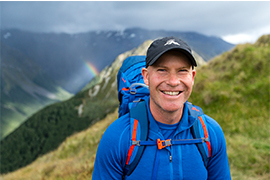 The goal has always been to equip adventurers to tackle New Zealand’s unique environment, and to take on the feedback of our community so we can craft products that add value to their experience of the outdoors. 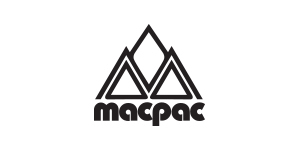 Macpac gear is clean and uncluttered, made of premium materials. That combination ensures that the products last, and can be easily repaired if they get damaged. Our design team works out of our head office in Christchurch, and they take great inspiration from our backyard, which is one of the most diverse in the world. 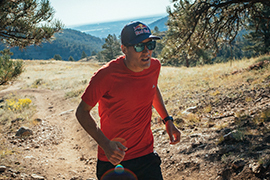 Our products are made for adventurers, by adventurers. When we design a product, our staff and ambassadors are the first port of call for testing. We put every prototype through rigorous procedures in New Zealand’s massively varied landscapes, and tap into the wealth of knowledge and experience possessed by our team. 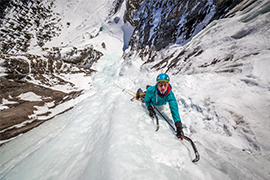 Our partnership with the New Zealand Alpine Team is indicative of our commitment to extreme technical quality. 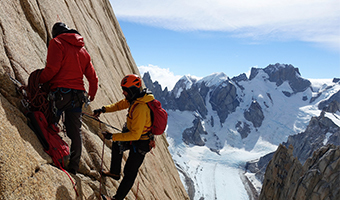 The NZAT put our products to use on the world’s harshest mountains, ensuring that Macpac gear performs under the most strenuous stress tests on earth. 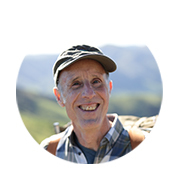 Macpac ambassadors are people who live with an insuppressible spirit of adventure. They are wild, capable and enthusiastic. They live in the outdoors, and they respect the environment on an incredibly deep level. Our ambassador program is important because it provides us with reliable, rigorous in-field testing, and a constant stream of feedback from the world’s best adventurers. When Bruce McIntyre designed his first pack, his goal was to create something that would last. 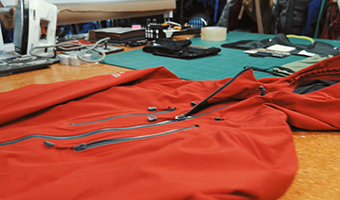 This simple objective informs our design process to this day – make products that will last. We believe in the skill of our designers and manufacturers, so if a Macpac product does fail within warranty, we’ll repair it free of charge. Our Repairs Department is one of the longest standing facets of our business, and it’s their job to keep Macpac products in the field for as long as possible. In 2018, 40% of our range uses bluesign® approved fabrics. Our goal is to have 100% of the fabric we use bluesign® approved business by 2021. bluesign® eliminates harmful substances right from the beginning of the manufacturing process, and sets and controls standards for an environmentally friendly and safe production. This ensures that the final textile product meets very stringent consumer safety requirements worldwide. ⋅ Organic cotton preserves waterways by eliminating the use of harmful chemicals. ⋅ Organic cotton farmers use crop rotation to stimulate healthy soil, and healthy soil helps reduce Greenhouse emissions. ⋅ Organic cotton is grown from non-GMO plants, using methods and materials that have a much lower impact than the genetically modified alternative. The Responsible Down Standard (RDS) is a global standard in the ethical sourcing of down and feathers. But what does this actually mean? ⋅ RDS down and feathers are properly tracked at all times to ensure that there’s never any cross contamination between RDS and non-RDS down. ⋅ Each stage of the supply chain is audited by a professional third-party certification body. ⋅ Only products using 100% certified down and feathers can carry the RDS logo. Polartec® Repreve® 100 is a sustainable fabric made entirely of recycled plastics, to create technical fleece garments that perform at the same level as the traditional stuff. Our Polartec® Micro Fleece range is designed using Polartec® Repreve® 100, turning waste plastic into warmth, and protecting you from the elements. Outside of our product design, we are committed to encouraging our staff to operate in a way that is environmentally responsible. We are proud of our in-house repairs department, which has been an integral part of what we do since the very beginning. If a product fails due to a manufacturing fault or material defect, you can request a replacement or refund, or we’ll repair it for you free of charge. If the a product is damaged from a long life of adventure, we don’t want to see it go to landfill. Our repairs team will assess damaged gear, and if it’s possible, they’ll fix it and return it to you for a reasonable fee. We see some legendary pieces of equipment come through our repairs department - packs, jackets and sleeping bags that have many a story to tell. We celebrate these and the people who kept reusing them, repairing them, and handing them down through families for generations of adventures. From the sourcing of our raw materials right through to the delivery of product to a customer, we work tirelessly to ensure that every person involved is treated with respect. 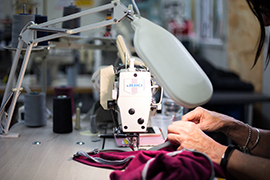 We have relationships with manufacturing, raw materials and textiles suppliers in Italy, Japan, China, Vietnam, Philippines, Taiwan, Indonesia, Cambodia, Korea and America, all of whom have been selected for their commitment to excellence in working conditions and quality. 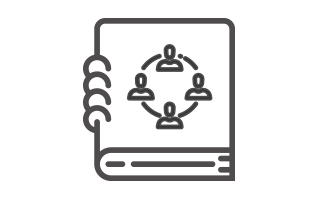 The purpose of this manual is to outline the goals of Macpac’s Social Compliance Policy and to provide a guide for vendors to follow. It includes each step of the social compliance process and the standards suppliers must meet to successfully conduct business with Macpac.